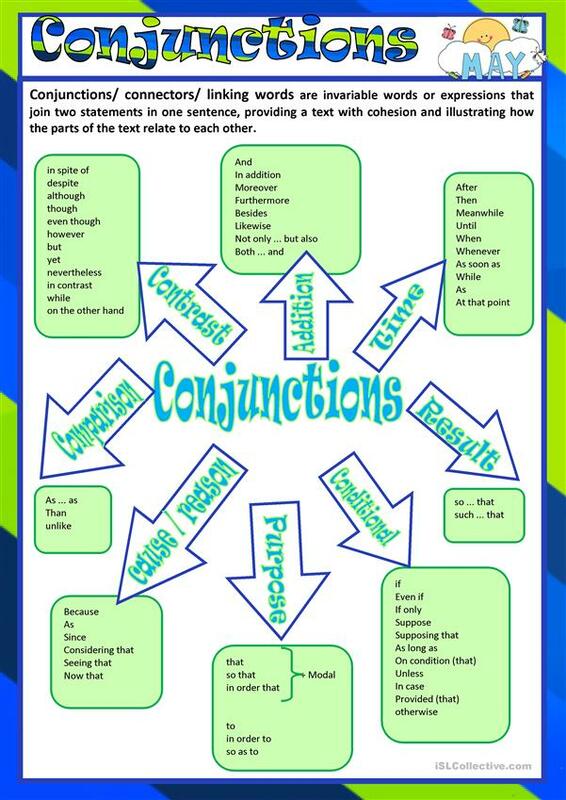 A 2-page worksheet with some examples of conjunctions and 2 exercises (gap filling and rewriting sentences) to use them. The present downloadable teaching material is recommended for high school students at Pre-intermediate (A2), Intermediate (B1) and Upper-intermediate (B2) level. It is great for consolidating Conjunctions (aka connectives, e.g. 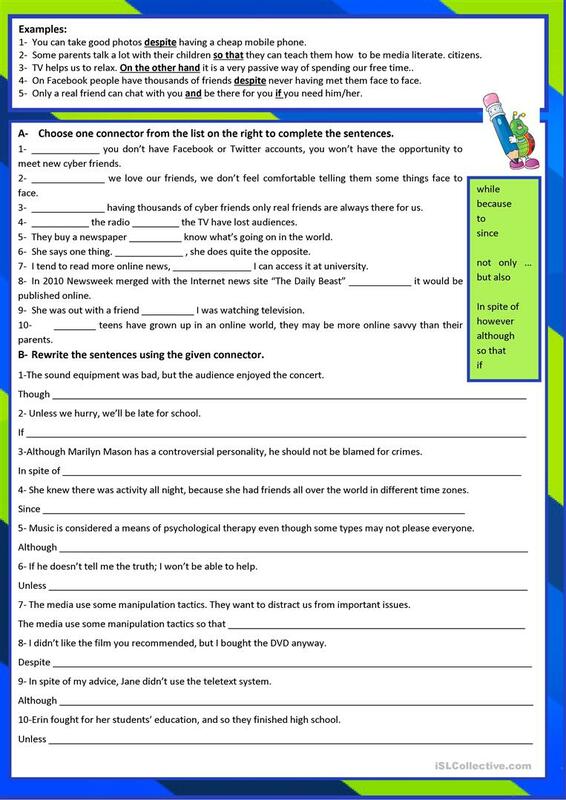 and, but, or, so, then) in English, and is excellent for honing your class' Reading and Writing skills.